The roof is probably one of the most highly ignored parts of the house. The walls, doors, and windows receive plenty of attention since they are within sight most of the time. The roof attracts more than a passing glance when the inhabitants of the building notice signs of leaking. However, what many people fail to realize is the importance of inspecting the roof regularly. If you do not inspect it frequently, you may soon wake up to realize that the structural stability and integrity of your home is completely compromised. Before listing the signs, it is important to let you know that the roof speaks. The roof speaks audibly, but only if you are willing to listen attentively. All roofs eventually feel the effects of aging. Some roofs last ten years before telling you that it is time for repairs or replacements. For the most part, a roof that has stayed in place for around 20 years is ripe for repair or replacement. Shingles are designed to be as durable as possible. Unfortunately, they are susceptible to the aging process just like everything that is made by man. Apart from the effects of the aging process, you should examine the shingles closely too. If they are cracked and seem to be falling apart, you should take this as a sign that the time for repairs or replacements is nigh. Check the edges too. Shingles with curled edges or cupped tabs are crying out for some attention. It is not impossible to determine the exact condition the shingles are in. Shingles that appear to be losing some granules are in a deplorable state. 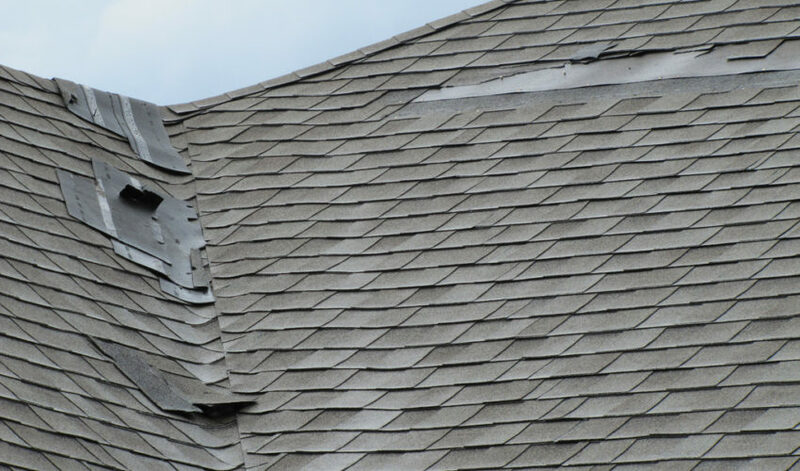 Curled, buckled or cupped shingles are either expired or defective; hence, the need for some work. The roof valleys need a thorough inspection with a tooth comb too. If you notice missing shingles in the valley, do whatever it takes to begin working on the roof before the situation worsens. If the valley has missing shingles, you should call a roofer over immediately to work on the problem. The valley is one of the most important areas of the roof as it provides snow and rainwater with a direct route to the gutters. A compromised valley makes the roof susceptible to leaks and other types of roofing problems. In some places, roofs on the building may begin displaying some dark streaks. The most likely source and cause of the dark streaks is airborne algae. Dark streaks from airborne algae do not damage or harm the roof. However, what they do is make the roof look horrible. Spraying such a roof with a mix of bleach and water is enough to get rid of the dark streaks. Be careful when spraying the roof. This is because spraying it might cause the granules to fall off, thus leaving the roof without any protection. The presence of moss on the roof should not go unnoticed. Moss commonly grows on the roofs of buildings located in places renowned for cool and moist climates. Many times, moss on the roof is nothing more than a cosmetic issue. Nonetheless, it is better to invite a roofer to inspect the roof thoroughly to identify other possible causes. If left untreated, moss can damage the granules. Although you can remove moss by brushing it off, this measure is not enough to make it impossible for the problem to recur. Therefore, you now possess the information that helps you know when the roof needs some work. This information will not help you in any way if you fail to inspect the roof regularly and thoroughly. If you cannot see any visible damage or problem, you should invite a professional roofer to check it out thoroughly. Remember, the roof protects arguably your biggest investment; hence, the need for giving it all the necessary love and attention. Failure to do this would mean spending a lot of money on repairs and replacements.